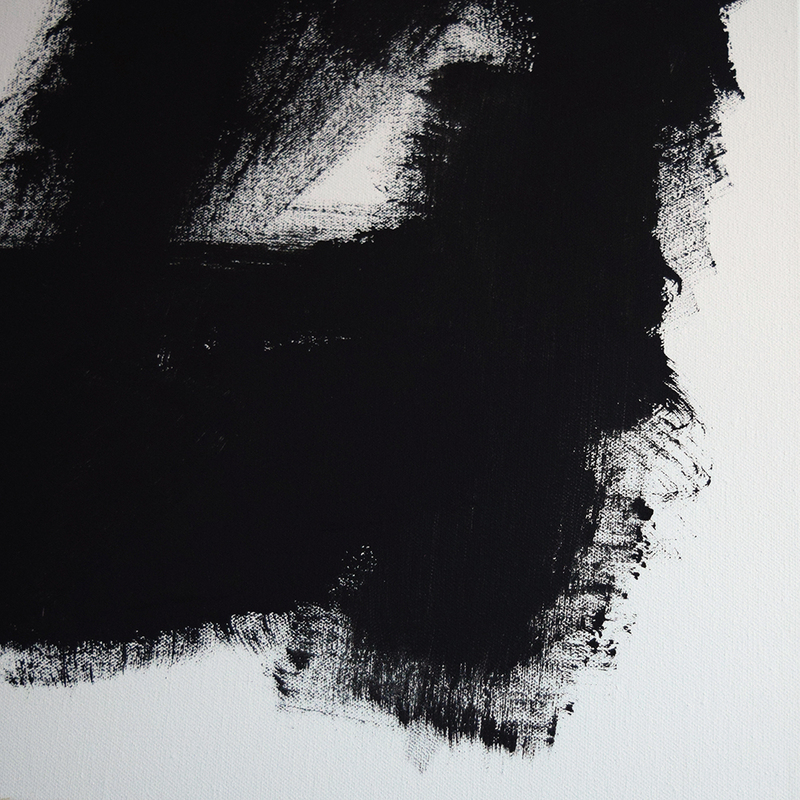 This piece is entitled "Number 6" and is a part of my "Black and White" series. 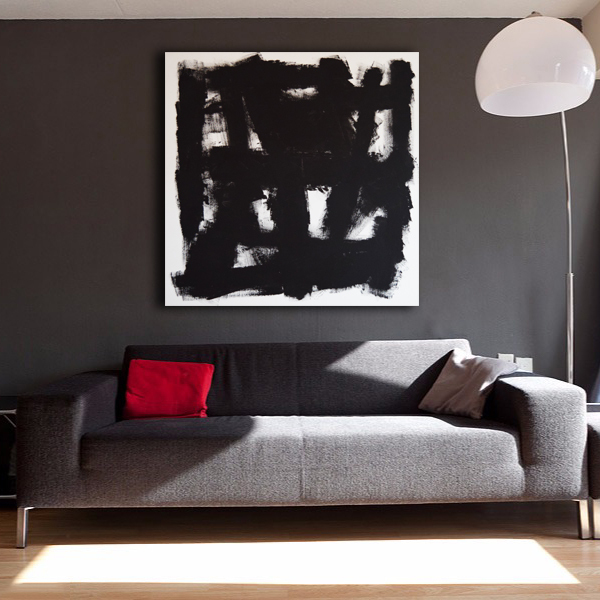 Each work within the series is an abstract piece that is composed using only black and white paint to create black, white and various gray tones throughout. The series is inspired by my despising of labels throughout our society, which is something I've not only felt internally about myself, but also witnessed from an outside perspective. I often find labels troubling because of the various predispositions that go along with them. For example, people are more apt to agree or disagree with someone solely based on a political label, people often automatically have negative assumptions about someone who has been labeled a criminal, people judge others based on their label of financial status, and the list goes on and on. On a more personal note, I found that labels placed on me by others were not correct. I was seen as a "male", I was often deemed an outcast or rebellious troublemaker because of my circle of friends and I've been treated differently because of expressing myself as a member of the LGBT+ community. With that being said, I do feel that labels can provide a sense of identity which can be very helpful at times. I've found it very comforting to know that there are others who identify with the same or similar labels as me in regards to their sexual orientation and gender identity. My aim with this series is to show that labels may not always be an accurate portrayal of something and that they are much more beneficial when used to find commonality rather than the divides that are so often present.